The Nashville International Airport (BNA) recently welcomed Alaska Airlines as a carrier in the Music City, and Gibson Brands took part in a special VIP reception party on Oct. 1, 2015, in honor of the new relationship. 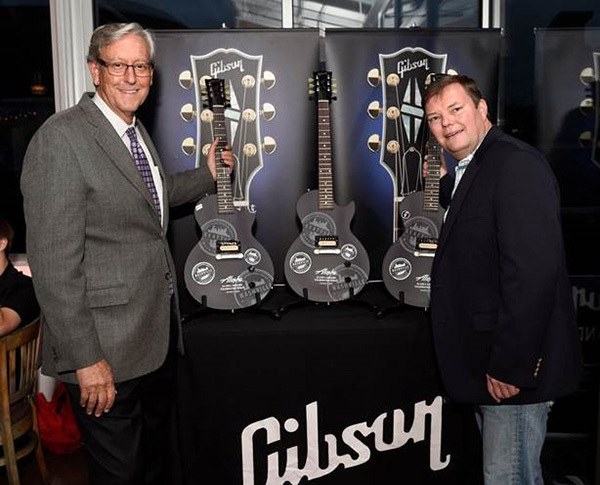 The party was hosted by the Nashville Airport Authority in partnership with Gibson Brands. 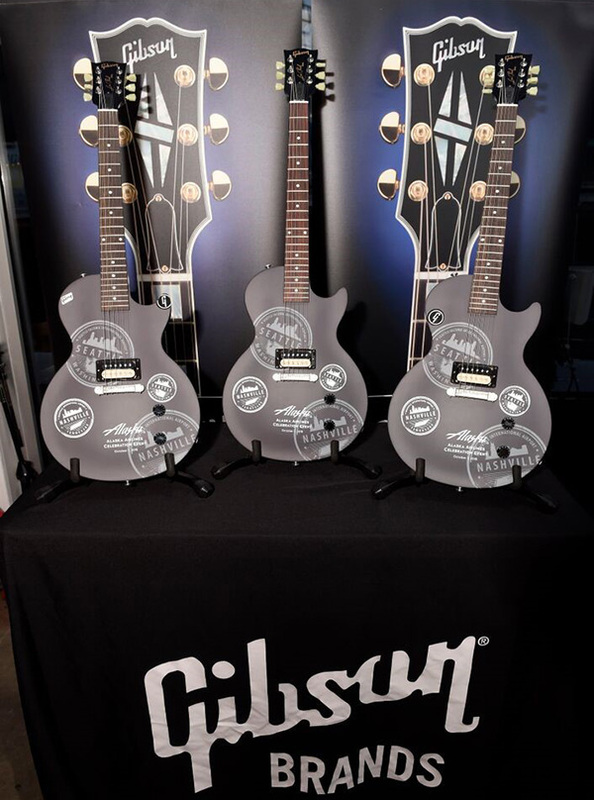 Gibson created three Les Paul guitars in recognition of Alaska Airlines launching a hub in Nashville. Those in attendance at the party included Rob Wigington, president & CEO of the Metropolitan Nashville Airport Authority (MNAA); John Kirby, vice president of Capacity Planning, Alaska Airlines; Joel Antolini, senior vice president of Seabury APG; Trudy Carson, director of Air Service Development, MNAA; and many more.